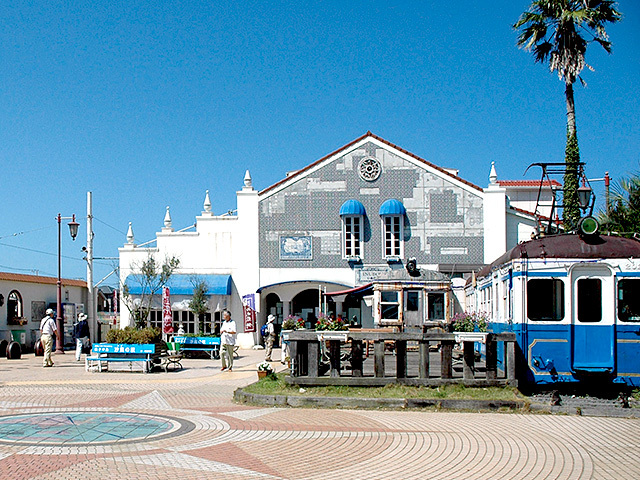 Get out along the way and discover the delights of Choshi ! The Choshi Dentetsu Line is nicknamed "Choden”and holds a very special part in the hearts of Choshi's citizens. A ride on this train takes you back in time. The lovely nostalgic carriages with thier hand-painted adverts are sourced from retired cars from various parts of Japan. 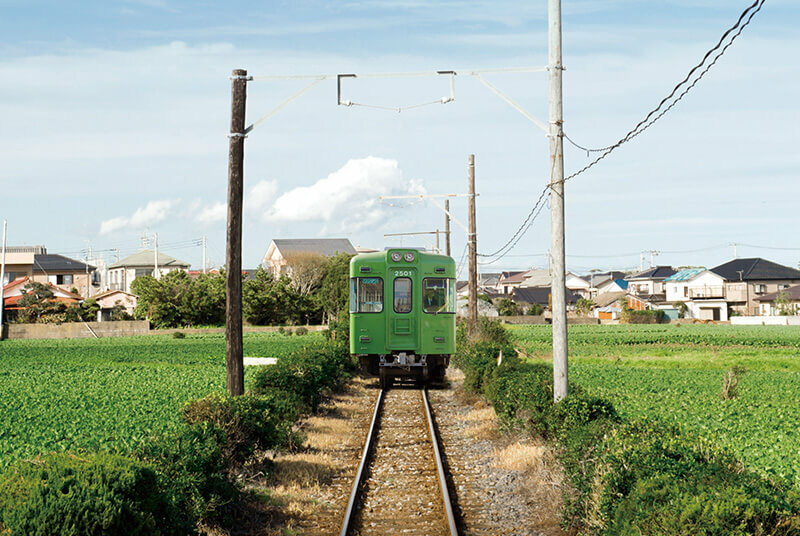 The route from Choshi Station to the fishing village of Tokawa runs through residential areas and cabbage fields and is an essential mode of transport for children and senior citizens. Join the locals and enjoy a leisurely trip through the heart of the city. Even better, get off along the way and see what interesting things you can find. "Nuresen" means moist rice cracker and it is made by dipping a freshly baked rice cracker into a pot of soy sauce. It's a typical Choshi delicacy and can be bought at Inubo station. You can watch people making "Nuresen" here or even have a go at doing it yourself. Some stations have been built in the European folk style while others are reminiscent of an older, simpler Japan. The "Choshi Dentetsu Line" runs from the little station located at the end of platforms "#2 and #3 at Choshi Station".